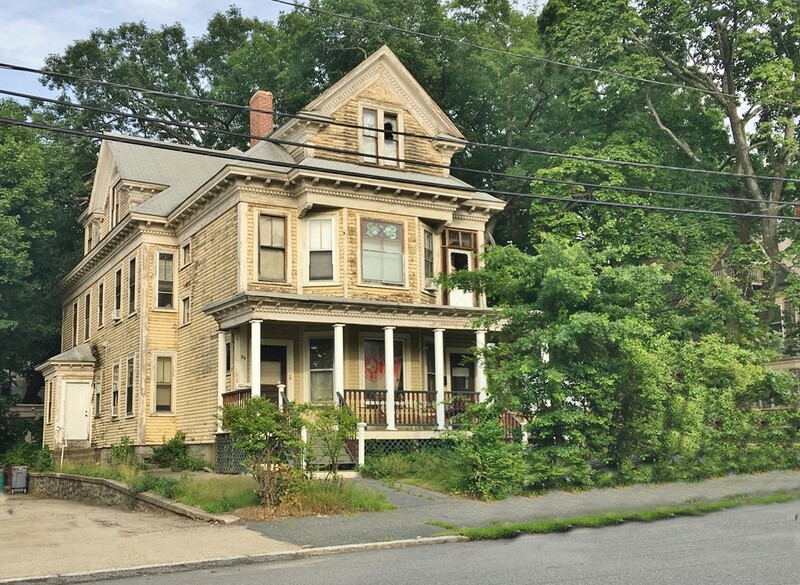 Directions: Salem St. Or Market St. To Osgood St.
A unique opportunity to purchase a grand Victorian 2-Family in So. Lawrence that is in need of a major rehab! Period details like parquet wood flooring, stained glass windows, original wood cabinetry with built-in ice-box, fireplaces, and claw-foot tubs add to its charm. Pluses include a new steam boiler in 11/2015 and one in 11/2016, a walk-up attic with 3 finished rooms; and off-street parking. There is an internal staircase from the 1st floor to a room on the 3rd floor, and also one from the 2nd floor to 2 rooms on the 3rd floor. Great project to fix 'n flip! This property will not pass FHA financing!! Exterior needs a paint job. There are some D/G windows.